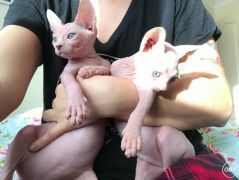 Beautiful 2 Sphynx Cats Available For Sale,They are well trained, have been vaccinated, checked every months, contact now for more details. Wooden Second Hand Furniture Canterbury UK wooden effect bedside table. good condition. working drawers. Perfect for small spaces. Sale My Playstation VR Brand New with Receipt in UK Note: Brand New Playstation VR No Offers currently sold out in retailers Call me on this number 07422525234 Thank you!